Every mother has a unique and irreplaceable role in our families that is deeply impactful and overwhelmingly beautiful. But as any mother knows, it’s also incredibly difficult and carries with it unique daily challenges. 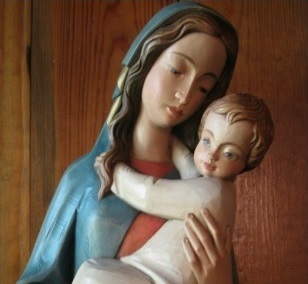 The Confraternity of Christian Mothers ministry seeks to provide support and fellowship for our mothers in order to strengthen and support them in living their vocation to radiate the life of Christ in the family. The Confraternity of Christian Mothers is a community for mothers to get together and find support in a common group of women raising Catholic families. We have a mix of guest speakers, open Q&A time, social events, and play dates for the kids. We discuss topics relevant to being a Catholic mother and provide support and friendship for one another. We meet in the St. Augustine Room from 7-8 p.m. on the first Thursday of each month and we invite all Moms to join us! You can also visit the Facebook Page (Moms of St. Maria Goretti – Westfield, IN) for more information about upcoming meeting topics, social events, or play dates, or to ask for any help or advice you might need. If you are not on Facebook, you fill out the form below for more information and we’ll get back to you.